More specifically, there are some grounding points for rope lines scattered about, generally with a direct line of sight on the roofs with the rope coils. 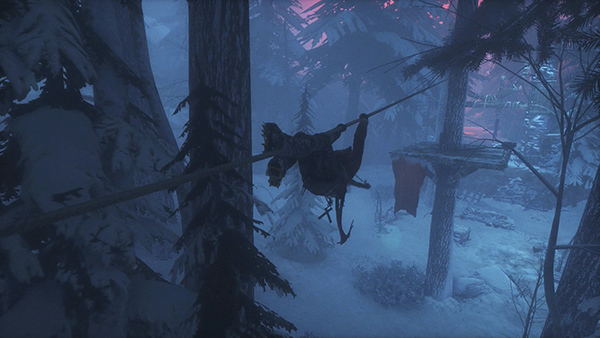 You can fire a rope arrow into the roof, ground it to the pole, and enjoy some ease of travel around the once hard-to-travel Mountain Village. Pull the cage with your rope. 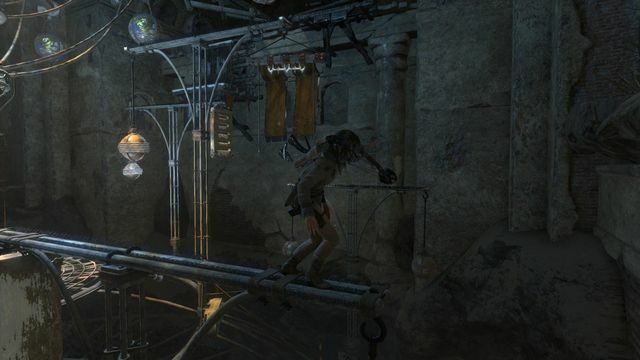 Once you pull the cage towards you, jump on top of it, and then as it's swinging it will put you close enough to the gate to be able to jump to the spot that you revealed when you hit the gate with the cage earlier. 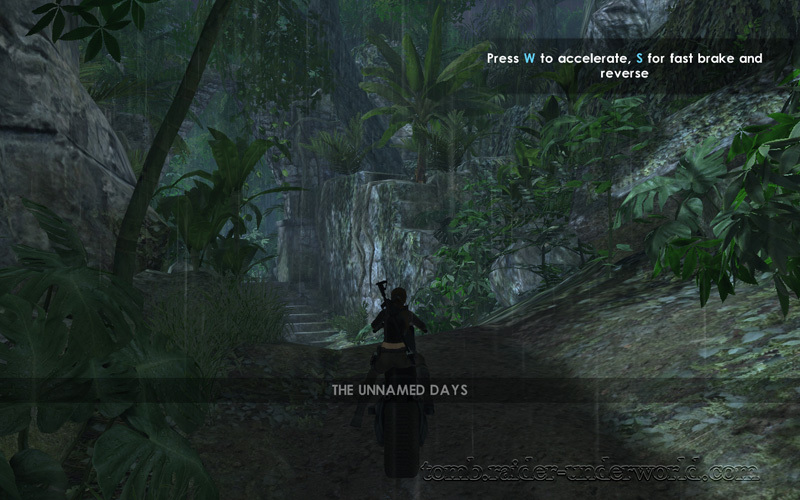 How to get there: After you get your climbing axe, look out for a waterfall with some white paint markings on it. Go inside to find the tomb. Solving the puzzle: Jump across the platform to get to a brazier.